SEQ Electronics & Entrance Systems is one of a very few companies that employs fully Qualified Electronics Technicians to carry out antenna repairs and installations. What does this mean and why is it different to other companies? Our technicians have completed a 4-year apprenticeship, not a 2-day course like many antenna and data installers do! With this experience, we are able to identify if it is an antenna issue or a TV fault. Our government endorsed technicians are able to accurately diagnose if the problems you have are antenna reception problems or if it is equipment failure. Should it be deemed to be equipment failure we are able to repair that too. Maybe your TV simply needs a “Firmware update”. SEQ Electronics & Entrance Systems is one of only a few companies that can accurately diagnose and apply the required firmware update as we have direct access to the manufacturer’s data that most other installers don’t! From a simple residential antenna installation to complex MATV Systems SEQ Electronics & Entrance Systems is here to help. 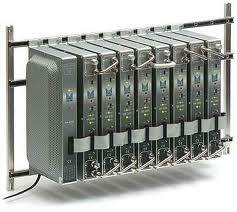 We can design and implement the most sophisticated MATV headend system to a basic antenna installation. We also specialise in digital and analogue modulators, Resi Linx IR distribution, and MATV Head End alignments, we’ve got it covered. 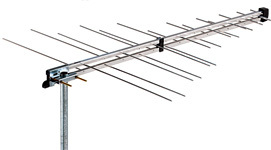 We also can install extra antenna points and Foxtel points. We can even offer you a second opinion should you still be having difficulties after another install including surveying the site or commissioning the site on completion. We only use the highest quality components (Australian made) where possible and not cheap Chinese antenna copies that use inferior aluminium that has has lower gain and poor BER (bit error rate) all critical for reliable reception. If you are an Antenna Installer or Electrician who does antenna installations from time to time. You may be eligible for a Trade account click here.